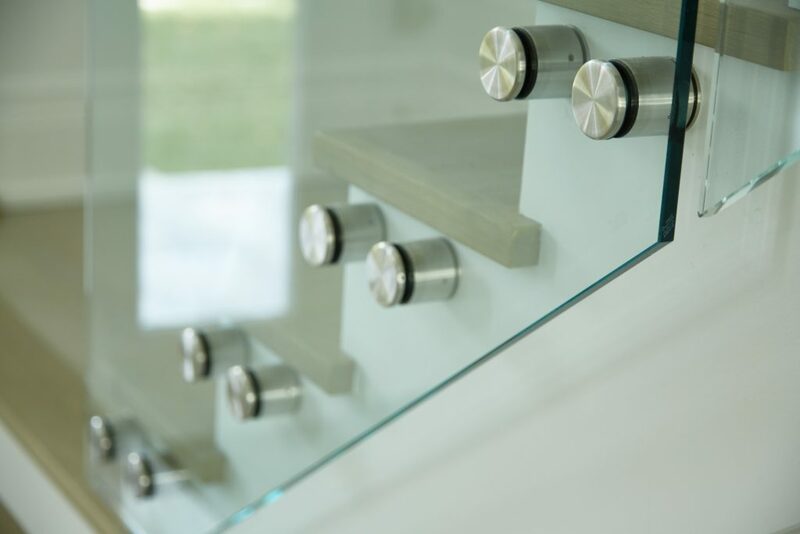 Glass standoff pins create a minimal look for your railing when they are paired with glass panels. There are no bulky metal pieces with this system—just 2” pins that hold your glass railing snugly in place. Glass standoff pins can be used with glass panels that are up to 4’ in length. For every 4’, you’ll need at least 4 glass standoff pins. The 2” pins weigh about 4 pounds each and are made of 2205 duplex stainless steel. This is the same material that is used in high-traffic metal structures and oil rigs around the world. These pins may be small in size, but you shouldn’t underestimate them. These sturdy pins are side-mounted, much in the same style as the Side Mount Talon Spigot. However, where the Talon spigot clamps a piece of glass through tilt lock technology, the glass standoff pin compresses glass using a solid threaded bolt. About 3/4 of the standoff pin is used to hold up the weight of the glass panels it is supporting; this part of the pin is bolted into the surface the glass railing is being applied to (the standoff pin can also be recessed into a mounting surface). Once the glass is in place, the rest of the pin is attached on the outer side of the glass panel, and is twisted into place until the glass is compressed. This second piece is the circle you see when looking at standoff pin glass railing. 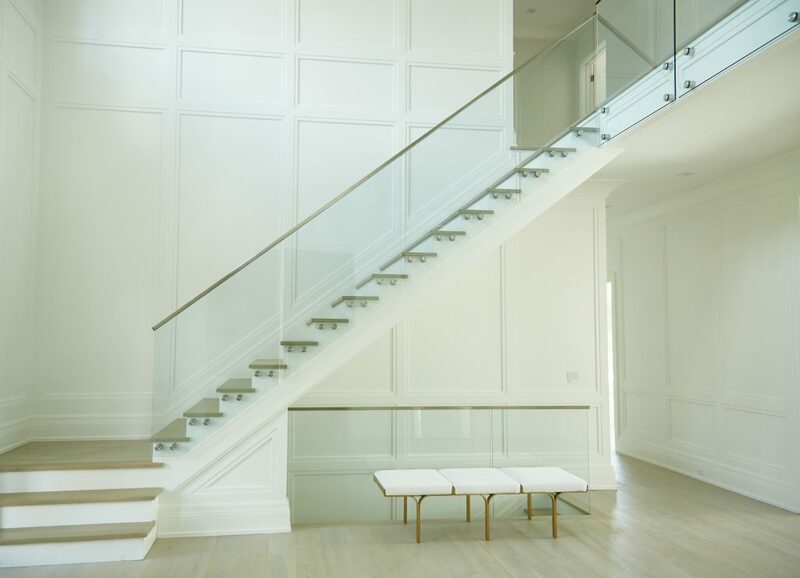 Check out our Completed Projects page to see how glass standoff pins are used on customers’ finished projects. Or fill out a design help form to hear from one of our designers.